Full article pdf attached below. Interesting the main photo is a mirror image. I like reading these scans. Thanks for posting them. You're welcome. I'm glad you enjoy them. There are many more years to cover, and I suspect the writing and information will improve along the way. Cool review. 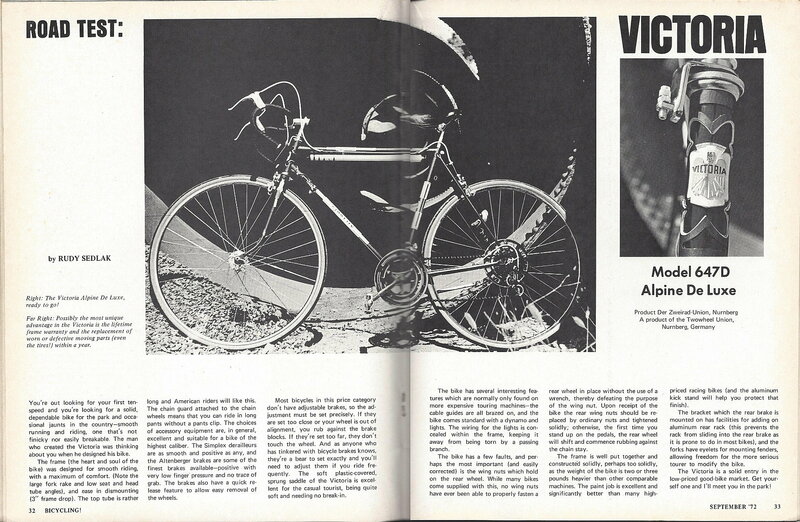 Never heard or seen a Victoria bicycle, ever. Thanks for posting these, I really enjoy them. I do have an observation though... when I bicycle has the words "De Luxe", or some other spelling variant, in it's name, it's usually not. Thanks Uncle. Me either. Funny, I thought the same as you. The other thought I had was that Victoria Alpine DeLuxe could be a good name for the main attraction at a local "gentlemen's bar" called Twin Peaks. Seriously, Victoria has been around for over 130 years and has an interesting history. I'm still looking to see my first one in the wild too. Last edited by SpeedofLite; 03-23-19 at 06:59 PM. 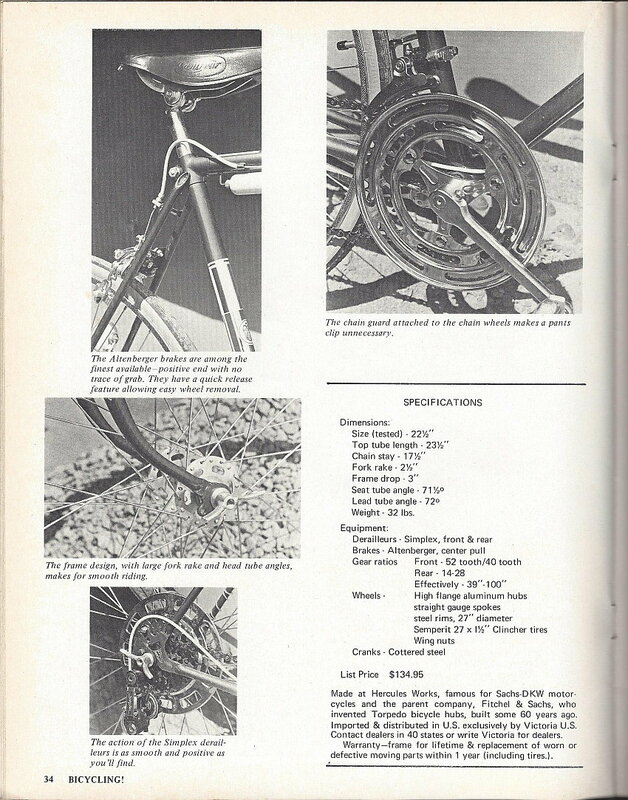 Had one of these frames come through me workshop in the early seventies. It was green with black trim.